Cowboy camping on the cold hard ground may be alluring to some, but for most of us it helps to have a little cushion and insulation for good night’s sleep. 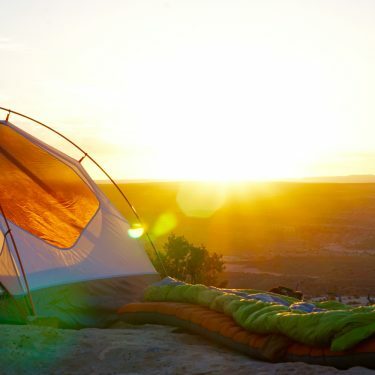 It’s easy to sleep comfortably when you’re car camping, but comfort is often a rare luxury when you’re backpacking. That 12-inch-thick California King air mattress from Costco doesn’t exactly make the cut when you’re counting ounces and monitoring pack size. Finding a comfortable sleeping pad is even more challenging when you embrace the ultralight lifestyle and shoot for a sleep system that’s under three pounds. With a pound or less to spare for your sleeping pad, that certainly narrows the field. There aren’t many sleeping pads on the market that pass the bar under 16 ounces, but there are enough that you’ll need to sort through a few options to find the best one for you. For starters, it helps to know what’s most important to you. Is weight the only differentiator, or are you willing to accept a few extra ounces in exchange for a more comfortable sleeping pad? What about warmth — are you looking for a summer pad, a three-season pad, or a four-season workhorse that’ll keep you warm well below freezing temperatures? Once you narrow down your priorities, take a look at our favorite ultralight sleeping pads. All of these are 16 ounces or less, and they’re well-reviewed by the backpacking community. Each sleeping pad offers a slightly unique selling point, whether it’s weight savings, warmth, pack size, high-tech design, comfort, thickness, or affordability. Therm-a-Rest is the king of sleeping pads, so it shouldn’t come as a surprise that the best ultralight three-season sleeping pad bears their logo. The Therm-a-Rest NeoAir XLite represents the peak of ultralight three-season performance, delivering more warmth and comfort per ounce than any other three-season air mattress. Weighing only 12 ounces, it offers 2.5 inches of plush comfort and delivers optimal three-season warmth with an R-value of 3.2. The NeoAir XLite harnesses patented technologies to deliver premium performance with minimal weight. The reflective ThermaCapture™ technology traps radiant heat while the sleeping pad’s Triangular Core Matrix™ construction minimizes convective heat loss. There’s no need for synthetic insulation, which saves you a ton in weight and pack size. Speaking of pack size, the low-bulk materials make the XLite the most compact model in the NeoAir series. 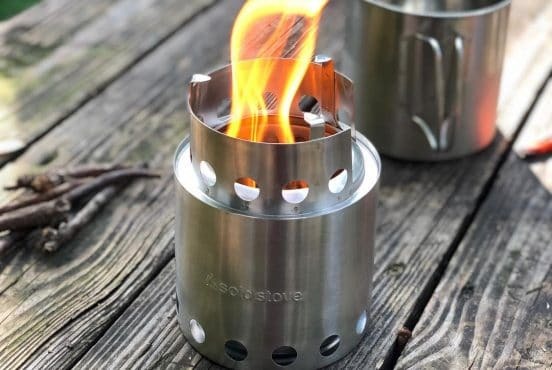 It packs down to the size of a one-liter water bottle (9” x 4”), making it an excellent choice for thru-hikers, alpinists, and backcountry minimalists. Where some ultralight sleeping pads skimp on comfort, the NeoAir XLite features softer fabrics that are surprisingly durable. There’s also an internal baffle structure that provides unrivaled stability, comfort, and support. The Therm-a-Rest NeoAir XTherm takes winter backpacking to the next level, delivering more warmth per ounce than any other sleeping pad on the market. It’s about three ounces heavier than the NeoAir XLite, boasting an R-value of 5.7 that’s built for extreme cold. The NeoAir XTherm leverages multiple reflective ThermaCapture™ layers to deliver four-season warmth without the bulk and weight you typically see in winter sleeping pads. Like the XLite, the XTherm also features Therm-a-Rest’s proprietary Triangular Core Matrix™ construction to minimize convective heat loss, so there’s no need for synthetic insulation. The ultralight NeoAir XTherm employs advanced materials and a tapered design to reduce weight without compromising warmth or comfort. You’ll enjoy a 2.5-inch loft, soft fabrics, and a baffled internal structure. The NeoAir XTherm also packs down to the size of a one-liter water bottle, so it’s ultra-compact and easy to pack. 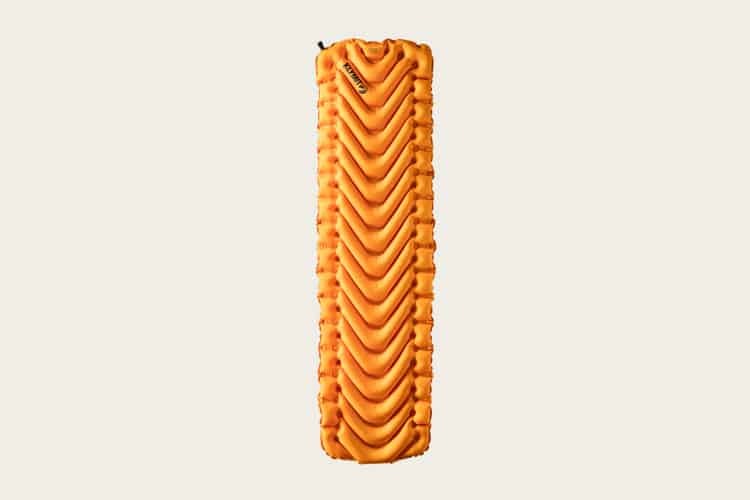 The Big Agnes Insulated AXL Air sleeping pad is a hair lighter and packs almost three inches smaller than the popular Therm-a-Rest NeoAir XLite. It’s also ¾-inches thicker with PrimaLoft Silver® insulation that’ll keep your backside warm down to 32 degrees. 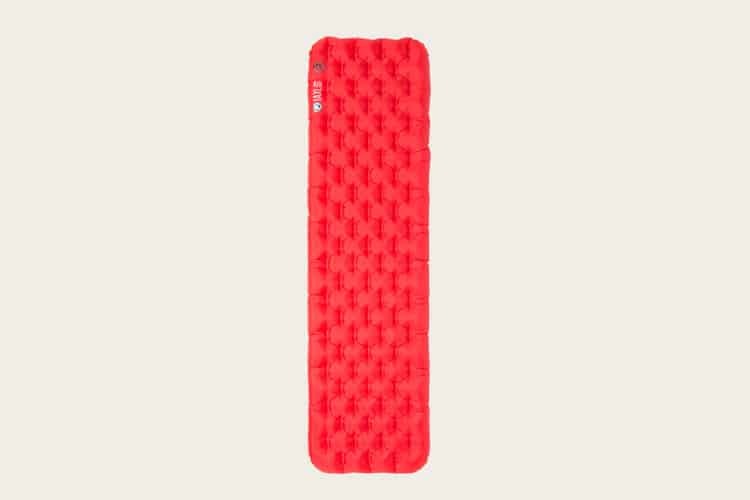 The Insulated AXL Air sleeping pad features a proprietary random-patterned nylon ripstop shell with a high filament count and high-tenacity yarn. The result is a 25% increase in tear strength and significant weight savings. The internal construction further minimizes weight and pack size, while delivering maximum comfort and stability. On top of the PrimaLoft Silver® insulation, the Insulated AXL Air features a Mylar reflective barrier to trap body heat and reflect it back inside to keep you comfortable. The sleeping pad also uses aviation-grade TPU lamination technology for long-term durability. 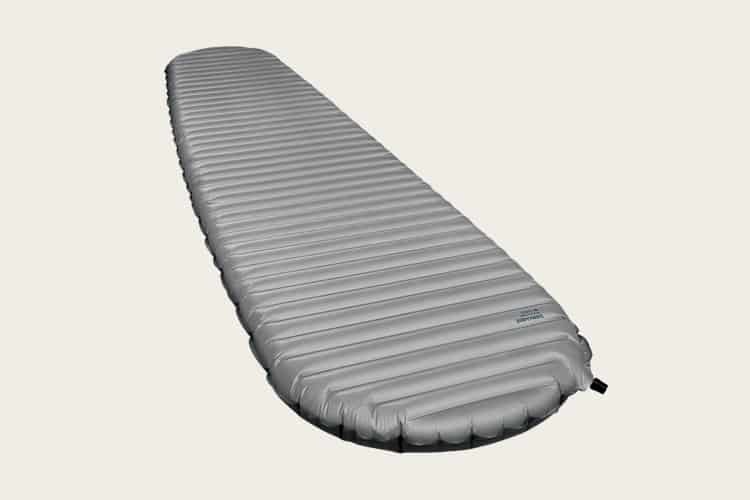 The Insulated AXL Air features larger tubes on the outside of the pad to keep you cradled on top of the sleeping pad. There’s a high-volume valve for easy, efficient inflation and deflation. The sleeping pad also employs an antimicrobial treatment inside the pad to prevent the growth of harmful microorganisms. With four inches of plush support, the Ether Light XT Insulated sleeping pad from Sea to Summit takes the cake for the thickest ultralight sleeping pad. With this much padding, you’ll enjoy luxurious comfort that’ll keep the cold, uneven ground beneath you from getting in the way of a good night’s sleep. The Ether Light XT Insulated sleeping pad delivers optimal comfort using XT Air Sprung Cells™ constructed with strong, flexible material. On the outside, you’ll enjoy upgraded fabric that’s quiet and durable, with a liquid-extruded lamination for long-term reliability. 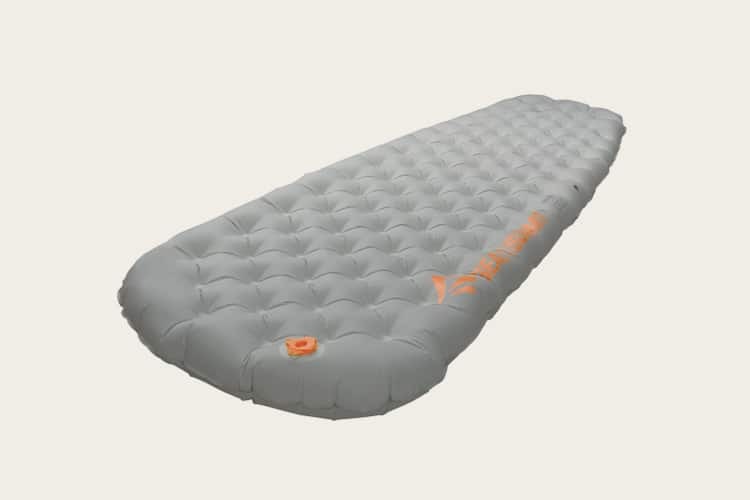 The Ether Light XT Insulated sleeping pad employs two types of insulation. The Exkin Platinum® insulation reflects radiant heat back to your body, while the Thermolite® insulation prevents convective heat loss. The result is a toasty R-value of 3.8 that doesn’t require extra bulk or weight. The sleeping pad is a piece of cake to inflate with the included Airstream Pump and the patent-pending multi-function valve. It only takes a couple of breaths to inflate the pad. Deflation and adjustments are just as easy. You can always trust REI Co-op to come through with reliable, budget-friendly alternatives to pricey big-name brands. The company’s Flash Insulated Air Sleeping Pad doesn’t offer as much thickness and comfort as you’ll find with the other options on our list, but it’s lightweight, warm, and durable. The Flash Insulated Air Sleeping Pad employs a tapered mummy design to reduce weight and pack size. 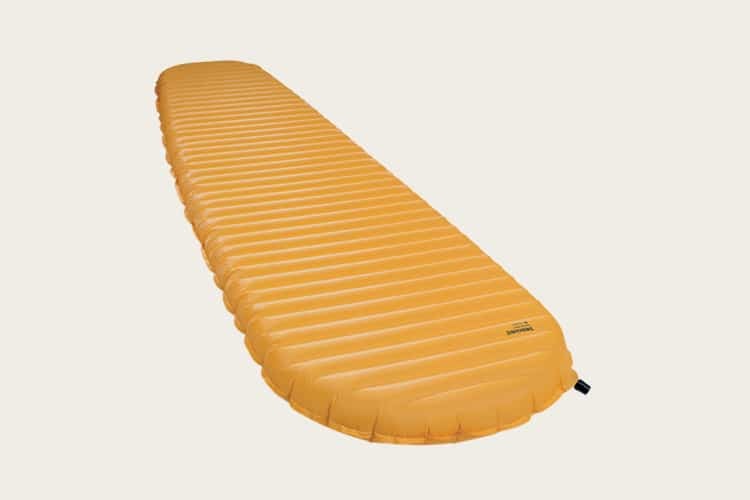 The sleeping pad’s laminated 30D ripstop polyester fabric isn’t as tough as nylon, but it strikes a nice balance between low weight and durability. 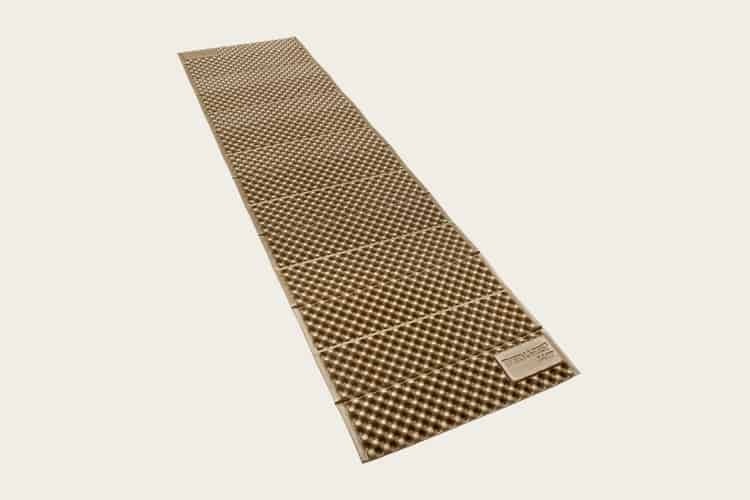 The Flash Insulated Air Sleeping Pad features weld-through construction that increases stability and comfort while lowering the number of breaths required for inflation. The sleeping pad relies on advanced inflation technology with two flat valves, one for inflation and one for deflation. Inside, you’ll find a proprietary dual-fiber insulation with an R-value of 3.7. The insulation works in tandem with a Mylar reflective layer to retain as much heat as possible, delivering an optimal warmth-to-weight ratio. Minimalist backpackers who don’t want to deal with the hassle of inflating and deflating an air mattress will love the Z Lite Sol from Therm-a-Rest. This sleeping pad is the lightest, most compact closed-cell pad on the market, making it a perennial favorite of the ultralight elite. The Z Lite Sol is surprisingly comfortable for only providing ¾-inches of loft. The proprietary crosslinked foams are dense on the bottom for a durable base, and softer on top for optimal comfort. The closed-cell foam is nearly indestructible, providing you with lasting, economical comfort for years of adventures. The Z Lite Sol doesn’t offer any insulation, but it delivers an R-value of 2.6 thanks to heat-trapping dimples and a special ThermaCapture™ surface that reflects radiant heat back to your body. The reflective surface boosts warmth by 20%, providing you with plenty of warmth for warm-weather trips in the spring, summer, and fall. The Z Lite Sol features a compact, accordian-style design that’s easy to pack. It’s almost twice the length of a packed air-sleeping pad, though, so it can be a little obtrusive. 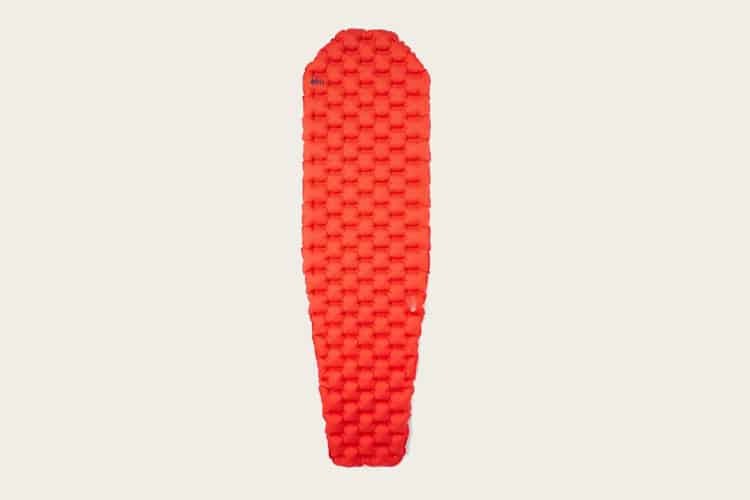 The Big Agnes Q-Core SLX is a close second for the best ultralight sleeping pad. It’s four ounces heavier than the Therm-a-Rest NeoAir XLite, but that’s a small price to pay for a more comfortable sleeping pad. The Q-Core SLX is arguably the most comfortable ultralight sleeping pad on the market right now. The quilted top offers a cushioned, pillowy surface that’s almost as comfortable as your bed back home. Thanks to the built-in heat reflective technology and WRM HL™ Insulation, you’ll sleep warm and toasty down to freezing temperatures. The Q-Core SLX delivers a generous 3.5 inches of loft in the internal chambers, with larger 4.25-inch outer chambers to keep you comfortably cradled in the middle of the pad. The sleeping pad employs offset I-Beams to create a multi-directional support system that’s stable, comfortable, and lightweight. The Q-Core SLX is built to last with durable ripstop nylon fabric. The double ripstop design improves tear strength and durability by 25%, while the aviation-grade TPU lamination ensures long-term durability. Like the Big Agnes Insulated AXL Air, the Q-Core SLX employs a high volume valve for faster inflation and deflation. Big Agnes uses the same antimicrobial treatment to prevent internal buildup of bacteria and other microorganisms. If you’re a fan of NEMO’s well-designed, reliable outdoor gear, follow your brand loyalty to the Tensor Ultralight Sleeping Pad. Trust us — you won’t be disappointed. 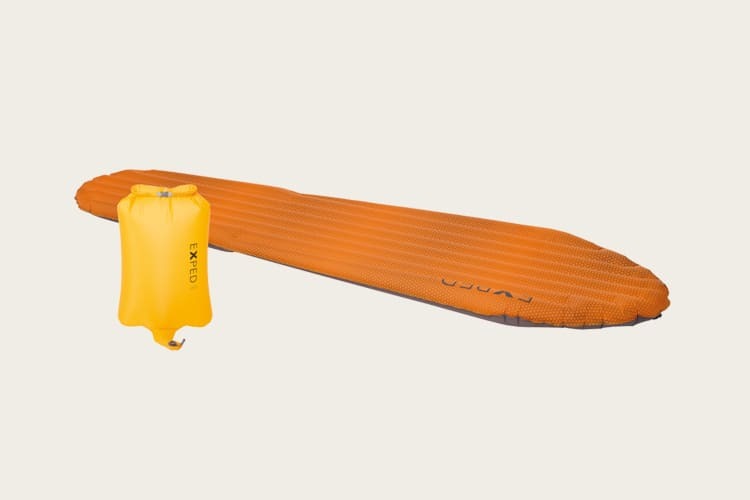 With the Tensor Ultralight Sleeping Pad, NEMO focuses on the common pain points to deliver a killer ultralight product. Comfort is often one of the first complaints you’ll hear with sleeping pads, so NEMO uses premium 20D fabrics that deliver a plush, luxury feel. You’ll enjoy three inches of stable, cushioned loft, with plenty of sizing options to ensure an ideal fit. Another complaint you’ll hear with sleeping pads is how noisy they can be, crinkling and crackling as you toss and turn at night. To address this, NEMO includes Spaceframe™ baffles that offer unparalleled weight distribution, stability, and a quieter sleeping experience. The low-stretch, die-cut trusses eliminate springiness while preventing your hips and elbows from jutting through to the ground. The insulated versions also feature two layers of suspended Thermal Mirror™ metalized film that promote a lighter, quieter sleep system. Finally, NEMO does a great job at addressing the headaches accompanying inflation and deflation. 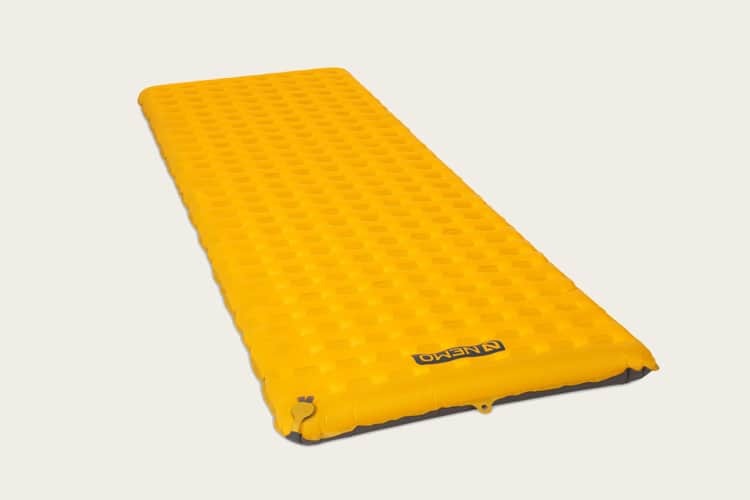 The Tensor Ultralight Sleeping Pad features a zero-profile, micro-adjustable, multi-functional Laylow™ valve for customized control over inflation. You’ll also get a Vortex™ pump sack for fast and easy inflation. The Vortex pump limits the amount of moisture that enters the pad, and saves breath at higher elevations. The Exped SynMat HL M is one of the lightest sleeping pads in its class, packing enough warmth and comfort to keep you cozy down to 22℉. With lightweight microfiber insulation and an airtight laminate layer that’s impervious to hydrolysis, it’s an excellent choice for three-season backpacking adventures. The Exped SynMat HL M features a tapered profile that makes it easy to squeeze into smaller tents. Combined with the lightweight 20D fabric, the tapered design shaves ounces to keep the total weight under a pound. The Exped SynMat HL M delivers excellent next-to-skin comfort with an anti-slip GripSkin honeycomb-pattern coating. It also comes with a Schnozzel Pumpbag, a clever pump sack that helps you rapidly inflate the sleeping pad while keeping humidity from your breath out of the equation. The Schnozzel Pumpbag doubles as an ultralight compression stuff sack, too, so you’re not wasting any weight on the trail. Searching for a warmer three-season sleeping pad? Check out the Klymit Insulated V Ultralite SL. With an R-value of 4.4, it’s the warmest sleeping pad in its price range — perfect for cold sleepers who need a little extra insulation for chilly nights. The Insulated V Ultralite SL features Body Mapping Technology, Klymit’s patented V-shaped design that delivers support and comfort for every sleeping position. Whether you’re a back-, side-, or stomach-sleeper, you’ll find a comfortable position with this sleeping pad. The Insulated V Ultralite SL delivers a warmer R-value thanks to its Klymalite™ synthetic insulation. The lightweight, durable, and compressible advanced insulation system slows the transfer of air between the top and bottom halves of the sleeping pad for improved thermal performance. 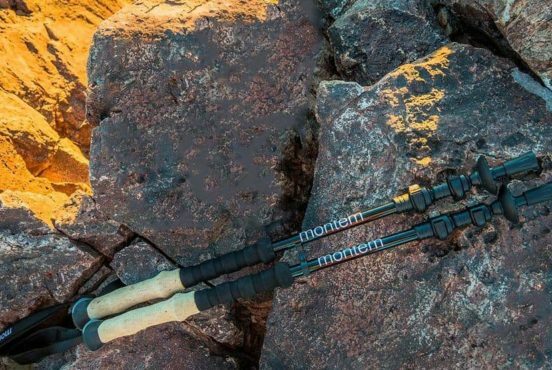 The Insulated V Ultralite SL features integrated side rails that are built into the patterning construction. The side rails provide a secure, comfortable sleeping position by centering you on the pad and inhibiting air movement while you roll around at night. The Insulated V Ultralite SL also features deep weld patterning that creates expansion zones. Unlike traditional sleepings pads that flatten the fill, this allows your bag to fully loft underneath you for improved thermal comfort. Finally, the Insulated V Ultralite SL employs a special twist-pull valve for simple and secure inflation. You can fully fill the sleeping pad in as little as seven breaths, and the valve opens wide for rapid, complete deflation when you’re ready to pack up and hit the trail. Before you pull the trigger on a new ultralight sleeping pad, it’s important to check the specs and ensure you’re getting the right one. As you’re perusing the labels, here are a few things to watch for. For those who are baffled by this figure, don’t worry — you’re not alone. R-value measures the thermal resistance per unit of a barrier’s exposed area. You’ll mostly see this measurement in construction, but it’s used with sleeping pads to express the quality of a pad’s insulation. To keep it simple, all you need to know is that a higher R-value indicates a warmer sleeping pad. Any R-value will do for summer backpacking, but you’ll want an R-value of at least 2 for three-season usage. If you’re brave enough to head out in the winter, look for an R-value of 5 or higher. All of the sleeping pads on our list highlight the standard “regular” size, which is usually in the ballpark of 72” x 20”. If you’re shorter than 6-feet-tall or if you’re okay with a smaller size that lets your feet hang off the end, you can save more weight by sizing down. On the other hand, if 20 inches doesn’t sound wide enough for you then you should opt for wide sizing with an extra 5-6 inches of width. 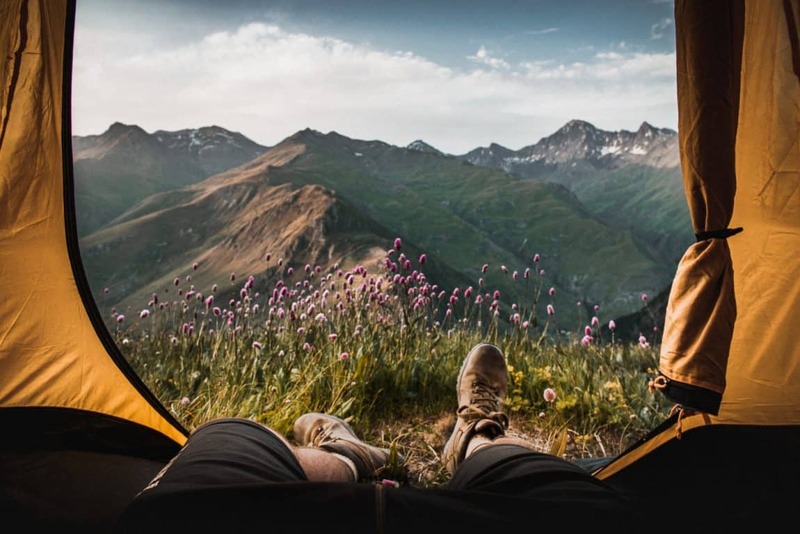 Just keep in mind that upgrading to a taller or wider sleeping pad will probably take you over 16 ounces, which is the accepted threshold for ultralight sleeping pads. There are a variety of options when it comes to thickness, providing anywhere from two to four inches of loft. Thicker sleeping pads help to level out uneven ground, and are generally more comfortable to sleep on. Thicker sleeping pads also provide more insulation from the cold ground, keeping you warmer when the temperatures drop outside. That said, not everyone will find a thicker sleeping pad more comfortable. As with traditional mattresses, some sleepers prefer more loft and cushion, while others prefer a firm foundation. It’s tough to assess what you’ll like until you try it, so we recommend reaching out to your friends to see if you can try out one of their sleeping pads. You don’t need to sleep on it for a night to know how you’ll like it — you should know pretty quickly when you lay down if it’ll be comfortable or not. 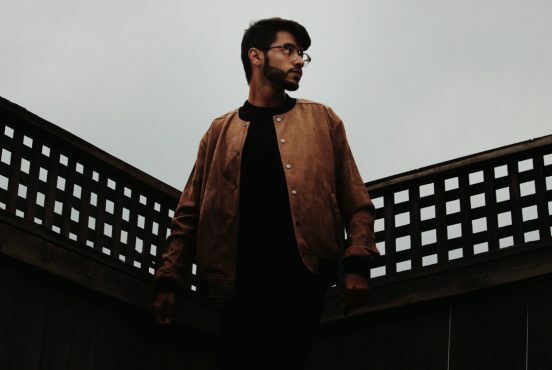 Mac is a digital marketer and freelance writer based in Pleasant Grove, Utah. He enjoys exploring the countless trails that the Beehive State has to offer, though his favorite outdoor adventures involve a snowboard and fresh powder. You can follow Mac on Instagram at @macmisseldine. Enter your email for gear reviews, travel inspiration and more. 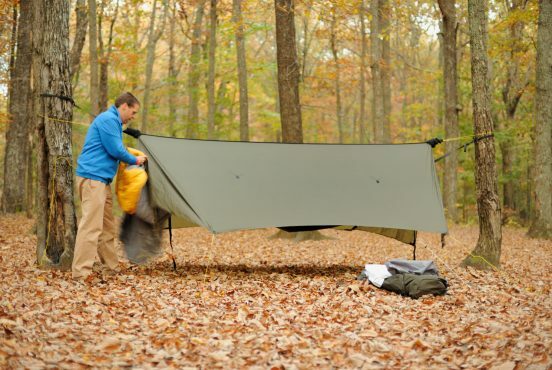 Hammock tarps provide lightweight minimalist shelter. They're easy to set up, and deliver all the protection you’ll need against inclement weather. Let’s talk plastic. 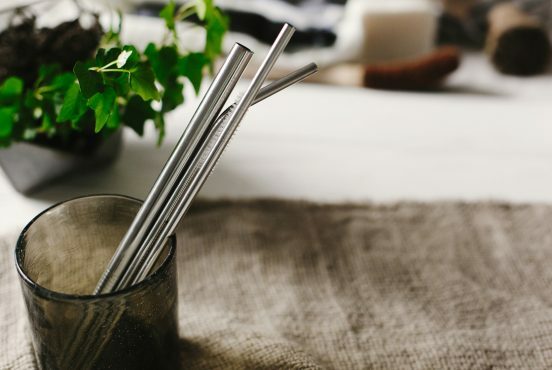 Plastic straws that is. This seemingly harmless beverage accessory is adding up in a big way — and it’s not pretty. There may be nothing new under the sun, but today’s wallet makers are breathing fresh life into a material that’s been used for thousands of years. You can’t beat the versatility of the modern messenger bag. 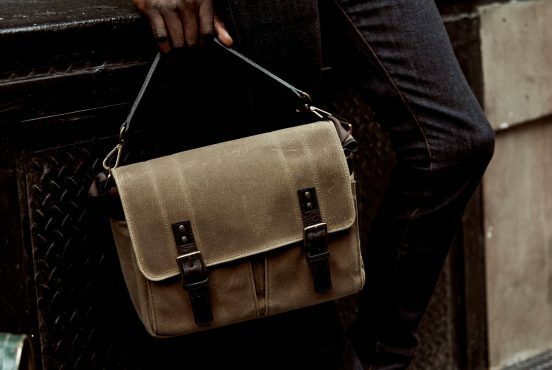 Whether you’re biking to the office, boarding a plane, or stopping by the gym on the way home from work, a well-designed messenger bag can handle it all. 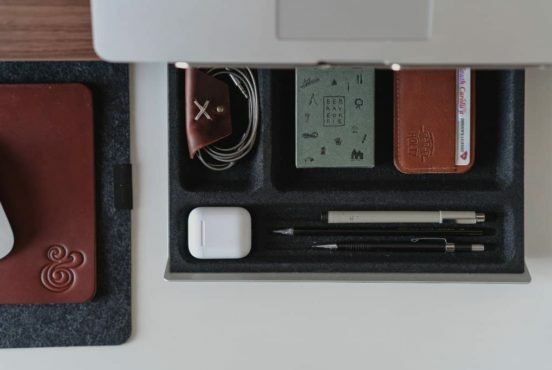 There are some everyday carry items that seem to get all the love: flashlights, wallets, watches. 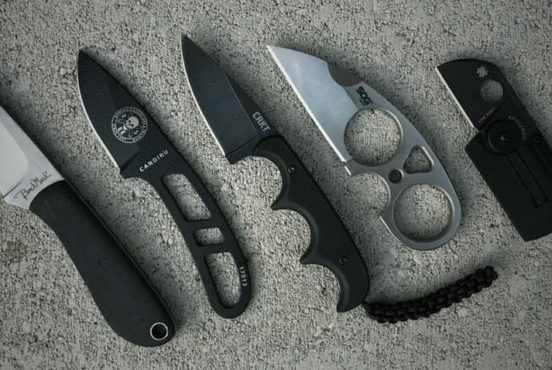 But few accessories offer the utility of the often under appreciated neck knife, and whether you work outdoors, in a warehouse or in an office setting, having a blade that’s practical, concealed and at-the-ready can make your day easier. Here's a look at our top choices for the best neck knives for all types of everyday carry needs.